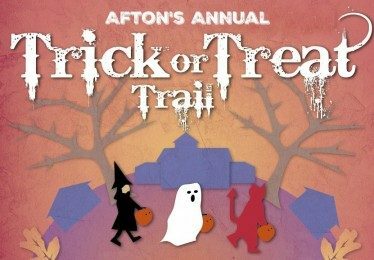 Afton’s main street will be crawling with ghosts, goblins, princesses and super heroes Saturday, October 26th from 11 am to 2 pm for the seventh annual Afton Trick or Treat Trail. Children can collect treats at over 15 businesses along St. Croix Trail, from The Lumberyard Pub to Selma’s. Stop at the Afton House Inn for a special craft project and Afton Museum for pumpkin decorating and face painting. Don’t miss “Scream For Ice Cream” contests at Selma’s, costume judging at The Lumberyard Pub and the photo booth!